Bobby Greenwood played on the PGA Tour for seven years and also has a career highlight victory over Jack Nicklaus in sudden death at the Colonial Invitational in late 1961. But each spring, it’s a trip to Florida that stokes some of the 73-year-old Greenwood’s fondest memories. Greenwood and his family return to Ponte Vedra Beach to attend the Players Championship. The reason it is near and dear to Greenwood’s heart? He was the director of golf at Sawgrass Country Club and served as host professional for the event in 1977-78. The tournament, which began in 1974, eventually moved to its current TPC Sawgrass site but Greenwood always enjoys returning to watch the tournament. This year’s visit to Florida will add to Greenwood’s list of memory highlights. Viola, his 13-year-old daughter, was selected as a runner/volunteer for the practice range at the Players. “Viola has shown an interest in golf and this should be an excellent learning experience to be on the range next to the best players in the world and listening to them talk while they practice,” he said. Greenwood, a native of Cookeville, now designs golf courses but he reflects back on an excellent career in golf. He was a three-time All-America selection at North Texas and tied for third with Johnny Miller in the 1969 PGA Tour qualifying school. His lone tour victory came at the Rhode Island Open, a satellite PGA Tour event, and he’s a three-time Tennessee Senior Open champion. He’s credited with more than 150 wins in his amateur and professional career. When the world’s best players tee it up at Sawgrass, Greenwood will get his perspective from outside the ropes. But he’ll certainly fondly be reliving his time inside the ropes and when he was the director of golf at Sawgrass Country Club in the fledgling days of the Players Championship. 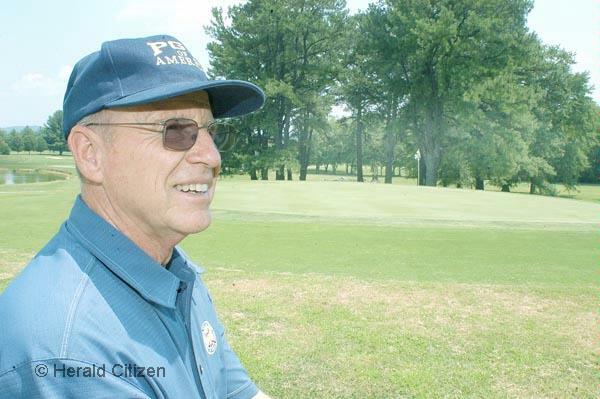 COOKEVILLE — Bobby Greenwood has been giving golf lessons almost all his life. His knowledge and experience of the game crafted from an outstanding amateur and professional career has helped people play better golf. At the age of 72, Greenwood still gives golf lessons although he concentrates mainly on teaching one very important pupil — his 12-year-old daughter Viola. Viola couldn’t have a more qualified teacher. Greenwood was a 3-time NCAA All-American at the University of North Texas during an incredible amateur career which saw him best players such as Jack Nicklaus and Byron Nelson in match play events. After turning pro, Greenwood spent seven years on the PGA Tour, winning the 1970 Rhode Island Open and taking on the likes of Johnny Miller, Lee Trevino and Arnold Palmer. He captured more than 150 amateur and pro tournaments and has been elected to the Riverside Military Academy, North Texas Athletic and Tennessee Golf Hall of Fames. Viola has tried her hand at team sports, excelling in local youth soccer and softball leagues. But being around a legendary golfer on a daily basis gave her the notion to want to play. Viola has just started getting serious about hitting the links this year. She has been practicing hard and learning the game from one of the best ball-strikers to ever tee it up in the state of Tennessee. Having a golf professional for a dad has done more than just show Viola how to hit a golf ball. Greenwood and his wife Elma have been able to take Viola to different courses and tournaments around the country that have special meaning. Greenwood has taken his family to the Masters and to the Player’s Championship at TPC Sawgrass where he was the head pro. They have gone to Berumuda to the Grand Slam of Golf. All of these experiences has introduced Viola to Greenwood’s past as well as opened the door to meeting some of the top players on the PGA Tour today. Watching Greenwood give golf lessons to other people has also helped Viola improve her game. She has become a student of the game, getting a daily dose of golf from her loving dad. While Greenwood shares his advice and expertise on golf, he also shares stories of his glorious past with his daughter. That’s something she cherishes as much as how to swing a club. Greenwood is equally proud of his well-mannered and talented daughter. The two of them recently teamed up in their first-ever tournament, competing in the Kiwanis Cookeville Children’s Museum Adult Youth Golf Scramble at White Plains. The Greenwoods finished second in their flight but came out winners as far as having fun and enjoying the experience goes. Greenwood looks to continue teaching his daughter about golf and sharing his knowledge and experience with her, hoping that’s something she will never forget. ﻿﻿﻿﻿﻿﻿﻿Bobby Greenwood has been one of the featured athletes at the Cookeville History Museum’s “Sports Theme” exhibit from November 27, 2010 to January 8, 2011. ” The exhibit will also focus on those local athletes who have played their sport on the professional level, from Tennessee Tech football player Jim Youngblood, a nine-time NFL Pro Bowl participant; PGA Tour players Bobby Greenwood and the late Bobby Nichols; and even J.J. Redick, a former Duke guard who now plays for the Orlando Magic. He was born in Cookeville, Tennessee. The Tennessee Section PGA unveiled the new Distinguished Career Award (DCA) Display at Golf House Tennessee February 28. The Distinguished Career Award recognizes current or former Tennessee PGA Section members who have had outstanding careers as PGA Professionals based on service to his or her club, course or employer, service and leadership to the Association, community service, professional playing record and teaching ability. The Distinguished Career Award acknowledges Tennessee PGA Professionals as vital and significant contributors to the game of golf. The renovated hallway now recognizes twenty eight PGA Professionals including names such as Cary Middlecoff, Lou Graham, Mason Rudolph, Joe Campbell, Gibby Gilbert and Loren Roberts. Joining that elite list of former PGA Tour players is Cookeville’s own, Bobby Greenwood. Photo Caption: Tennessee PGA President Hunt Gilliland (left) presents the Distinguished Career Award to former PGA Tour Player Bobby Greenwood. essee PGA titles and currently is the President of his own golf course architectural firm in Cookeville. Bobby designed and supervised construction of our Dorchester Golf Course in 1977. Greenwood is also a member of the University of North Texas Sports Hall of Fame, Tennessee Golf Hall of Fame and Riverside Military Centennial All-Sports Hall of Fame. See a future edition of the VISTA for an upcoming special event featuring an appearance by Bobby Greenwood. PHOTO CAPTION: Cookeville golfing legend Bobby Greenwood looks at the replica of the late Bobby Nichols Distinguished Service Award at Golf House of Tennessee. 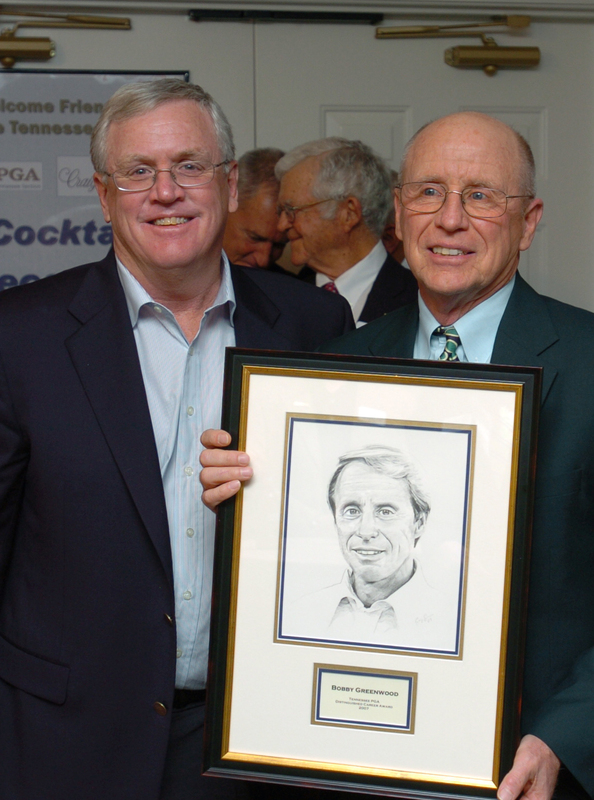 Greenwood was honored with the Tennessee PGA Distinguished Career Award Sunday, one year after his good friend Nichols was honored with the award. FRANKLIN — Bobby Greenwood won enough trophies and plaques during his competitive golfing days to fill a house. A member of three different halls of fame, Greenwood can add another honor to his long list of accolades. The Cookeville native and former PGA Tour player has received the Tennessee PGA Distinguished Career Award. Greenwood was recognized on Sunday night at Golf House of Tennessee where the new permanent Distinguished Career Award display was unveiled. 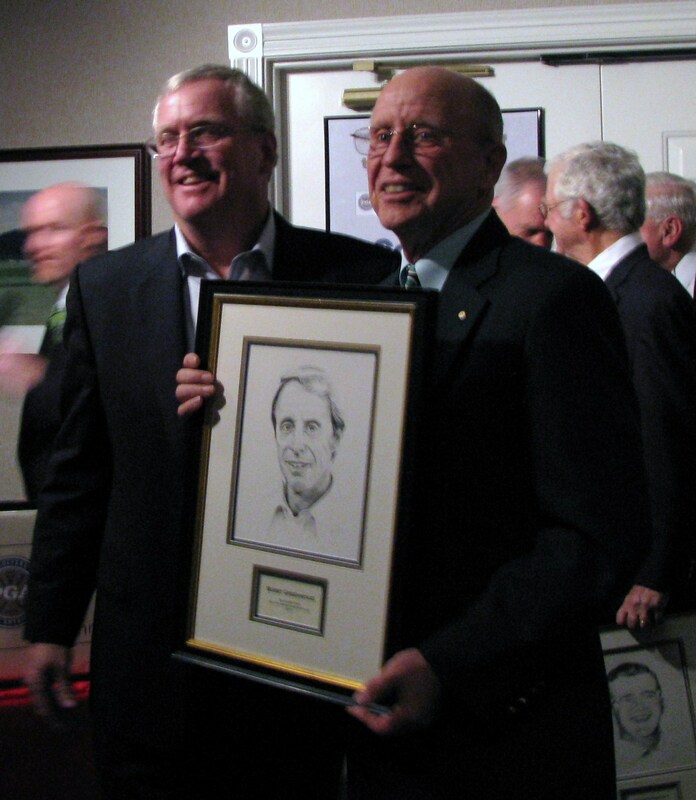 A member of the Tennessee Golf Hall of Fame, Greenwood was recognized along with fellow Hall of Famers Pat Abbott, Cotton Berrier, Joe Campbell, Harold Elller, Gibby Gilbert, Lou Graham, Don Malarkey, Cary Middlecoff, Teddy Rhodes, Loren Roberts and Mason Rudolph, who were also receiving the Distinguished Career Award. Greenwood joins an elite group of only 26 other PGA Professionals who have received this honor. Among those is the late Bobby Nichols, who passed away almost two years ago. As a long-time PGA Professional and owner of Ironwood, Nichols mentored many of the state’s PGA Professionals while he served more than 30 years as the head coach of the TTU golf programs. As a player, Nichols won more than 100 tournaments, including the 1992 Tennessee State Open as well as the 1994, 1996 and 1997 Tennessee Senior Opens. He qualified and played in 21 PGA Club Professional Championships and two U.S. Senior Open Championships. Nichols also qualified for every Tennessee PGA Cup Match Team from its inception in 1968 to 2007, serving as team captain four times. Two of Nichols’ longtime friends, Elaine Garrison and Kim Meredith, were on hand to accept his replica, which will be on permanent display. “It’s bittersweet,” Garrison said. “I should be happy and excited but I’m sad. I guess it will always be that way.” Nichols and Greenwood were the best of friends for nearly 50 years. After being introduced to golf at the Cookeville Country Club at the age of 12, Greenwood’s amateur career took off like a rocket. During the 1960s, he dominated amateur play in the state of Tennessee, winning the 1966 State Amateur and the 1968 State Open, becoming just the third of eight golfers to accomplish the feat. He was one of just seven golfers to ever win the prestigious Sunnehanna Amateur twice and was ranked by Golf Magazine among the nation’s Top 10 amateurs on two occasions. Greenwood began a glorious collegiate career at Tennessee Tech, finishing as the Ohio Valley Conference runner-up as a freshman. After transferring to North Texas State, he was a three-time All-American while finishing second in three consecutive Missouri Valley Conference Championships. After turning pro in 1969, he made the cut in 72 PGA events, finishing in the Top 10 six times and in the Top 25 in 15 different tournaments. “People are the most important thing,” said Greenwood, who is also a member of the North Texas University and Riverside Military Academy Hall of Fames. “I’ve got trophies and plaques where the name has fallen off and I can’t remember where I won them. People are the most important thing in the world. PHOTO CAPTION: Cookeville’s Bobby Greenwood, right, poses with fellow Tennessee Golf Hall of Famer and Distinguished Career Award recipient Mason Rudolph Sunday night at Tennessee Golf House. COOKEVILLE — In 1949 or 1950, when Bobby Greenwood was a young boy, his father, Bob Greenwood, started taking him to Backsliders Class at First United Methodist Church in Cookeville. Impressionable Bobby was especially taken by the President of the class — smart, polished and a deeply committed Christian. Although Bobby thought he could never be good enough to hold that position, in 2006-2007 the class elected him president. Organized on Oct. 1, 1949, the Backsliders met for the first year at Vaughn’s Grill on the Square near the church building. “Young Men’s Fellowship” was the original name for a variety of reasons, chiefly because ladies were not invited for several years. Men continue to outnumber ladies in the class, but not in significant numbers. In its early days, the group did not sing because they claimed they could not. Mr. and Mrs. Jeff Wall, he a noted local Gospel singer and she a gifted accompanist, began leading them and all heaven broke loose. Greenwood testifies that their music was instrumental in his accepting Jesus as Savior and Lord of his life. Although the Walls went to their reward years ago, echoes of old Gospel hymns reverberate through the building in which Jeff Wall Hall is located. Members who wish to contribute funds may, and those moneys have gone to support numerous struggling churches and para-church organizations. In addition to supporting church ministries such as the Ministers’ Emergency Fund and the Food Pantry, they reach out to the community with financial aid to Mustard Seed Ranch, Cookeville Rescue Mission, Fellowship of Christian Athletes, Heart of the Cumberlands and many others. When former class president Jim Ross became a Backslider in 1969, he was struck by the diversity of class members ranging from top-level executives, local business owners and millionaires to regular working people who had not been accustomed to participating in religious activity. Retired Army Col. Hubert Crawford served as the city’s police chief and would on occasion bring inmates to class on Sunday mornings. As its name suggests, pomposity is far from being a trademark of the Backsliders. When the Pharisees attacked Jesus for hanging out with tax collectors and sinners, he answers them, It is not those who are healthy who need a physician, but those who are sick.” (Matthew 9:12) Their goal has been to search out and help those who were not connected with any church and proclaim the Gospel to them. When Fred Moore, a history professor at Tennessee Tech, was one of the regular class teachers, he provided them with this unofficial motto: “They ain’t no hypocrites here cause we don’t claim to be nothin’.” The official motto became and is this: “Any person regardless of state can become the person he should be through the power of Jesus Christ.” For several years, teaching duties were assigned to specific teachers for the various Sundays of the month. In more recent years, a committee of six people, each of whom arranges two months of programs, has been in effect. This has resulted in an interesting array of speakers and subjects. On Sunday, Oct. 11 in the Christian Life Center of First Methodist Church, beginning at 12:30 p.m., there will be a 60th birthday celebration for the Backsliders Class. The program will include music by the Webb Sisters. All former Backsliders are urged to attend this joyful celebration. To determine how many porkers need to make the supreme sacrifice, notice of your plans to attend would be appreciated by the planners. I may have to be a few minutes late but I plan to be there. I hope to see many former and present Backsliders. Source: Herald-Citizen, published Sunday, October 4, 2009, Cookeville, Tennessee. COOKEVILLE — For seven years, Bobby Greenwood was a regular on the PGA Tour. A player who made several cuts and consistent money, Greenwood competed in a lot of PGA Tour events at several different courses. More than 30 years since teeing it up in his last PGA Tour event, Greenwood is taking a walk down memory lane with his wife Elma and 10-year-old daughter Viola with a tour of the Tour. There are 20 PGA Tour tournaments or courses where PGA tournaments are being played this year that Greenwood has played in or played on. There are also four on the Champions Tour schedule. A winner of over 150 amateur and professional tournaments, including the PGA Tour’s Rhode Island Open, Greenwood has been giving his wife and daughter a first-hand look of what life was like on the Tour in the 1970’s. Greenwood and his family went to the Ryder Cup matches last year at Valhalla and the Grand Slam of Golf in Bermuda. One of the best experiences for Elma and Viola came last month when Greenwood returned to TPC Sawgrass in Ponte Vedra, Fla., where Greenwood used to be the head professional. Greenwood was recognized at a breakfast in conjunction with The Players Championship, which is held annually at TPC Sawgrass. “When I was introduced, it thrilled Elma and Viola,” Greenwood said. Seeing Greenwood get the recognition from the former and current PGA Tour players makes his wife and daughter gush with pride. The next stop on Greenwood’s tour of the Tour will be in October at Harding Park Golf Course in San Francisco. The President’s Cup will be held there but Greenwood played the course when it was the San Francisco Open. While Elma enjoys hearing the stories, Viola enjoys getting the autographs of current PGA Tour players. She got Jim Furyk to sign a flag at the Grand Slam of Golf and Phil Mickelson signed a ball at The Players Championship. Until then, the Greenwoods plan on continuing their tour of the Tour. Photo caption: Bobby Greenwood stands near one of the scoreboards at The Players Championship in Ponte Vedra Beach, Florida. Photo caption: PGA Tour golfer Jim Furyk signs a flag for Viola Greenwood at the Grand Slam of Golf. Photo Caption: Bobby Greenwood first learned to play golf at the age of 12 at the Cookeville Country Club. His accomplishments in Amateur and professional tournaments throughout his illustrious career are being recognized more and more these days. COOKEVILLE — When you have accomplished as much in golf as Bobby Greenwood has, it’s kind of hard to keep up with it all. But the hall of famer has found a new appreciation for his success on the links. Like a treasure that’s been discovered and put in a museum for everyone to see, Greenwood’s golfing achievements have been found again and put on the Internet for the world to view. With the help of his wife Elma, Greenwood’s storied golf career is chronicled on the Internet at http://www.greenwoodpga.net. Some of Greenwood’s more memorable golfing escapades are already noted in five different books: My 55 Ways to Lower Your Golf Score by Jack Nicklaus; My Story by Jack Nicklaus; Southern Golf Association: The First Hundred Years by Gene Pearce; The History of Tennessee Golf by Gene Pearce; and, most recently, The History of Sunnehanna Country Club and the Sunnehanna Amateur by John Yerger III. But once he and Elma began researching his past successes for the website, even Greenwood was impressed. Greenwood’s career is hardly forgettable. Once he began teeing it up at the Cookeville Country Club at age 12, his work ethic and desire to be the best helped propel him to star status as an amateur and in college. During the 1960s, he dominated amateur play in the state of Tennessee, winning the 1966 State Amateur and the 1968 State Open, becoming just the third of eight golfers to win both tournaments. He was ranked by Golf Magazine among the nation’s Top 10 amateurs on two occasions. He is just one of seven golfers to ever win the prestigious Sunnehanna Amateur twice, setting the course record with a 63. Most recently, Greenwood was honored in June by the tournament officials at Sunnehanna in Johnstown, Pa., for his past success as a two time champion. The day after Greenwood flew home to Cookeville, his record fell to one of the participants in the Sunnehanna tournament after 43 years. Records were meant to be broken and Greenwood certainly had his share. In college, he began his career at Tennessee Tech where he finished as the runner-up in the Ohio Valley Conference tournament as a freshman. He then transferred to North Texas State where he was a three-time All-American, placing second in three consecutive Missouri Valley Conference Championships. Perhaps his most notable, and gratifying, golfing experience came during his college years when he playing at Colonial Country Club in Memphis. Greenwood took on Jack Nicklaus, who has won more major championships than any other golfer, and beat him in match play. Greenwood beat some good players while he was on the PGA Tour. After turning pro in 1969, he made the cut in 72 PGA events, finishing in the top 10 six times and in the top 25 in 15 different tournaments. His lone victory on the Tour came in 1970 when he won the Rhode Island Open. But injuries played a key role in Greenwood’s decision to leave the Tour in 1975. “The last tournament I played on tour was the Mexico Open in Mexico City. I remember having a three or four foot par putt and thinking this will be the last putt I will hit as a Tour player and it was,” recalled Greenwood. Greenwood began living the life of a club pro after retiring from the Tour, taking over the No. 1 club job in America at TPC Sawgrass. He recently returned to TPC Sawgrass and enjoyed some fellowship with current PGA Tour players during a recent PGA tournament. The attention and accolades Greenwood has been getting lately is very gratifying for the 69-year-old. 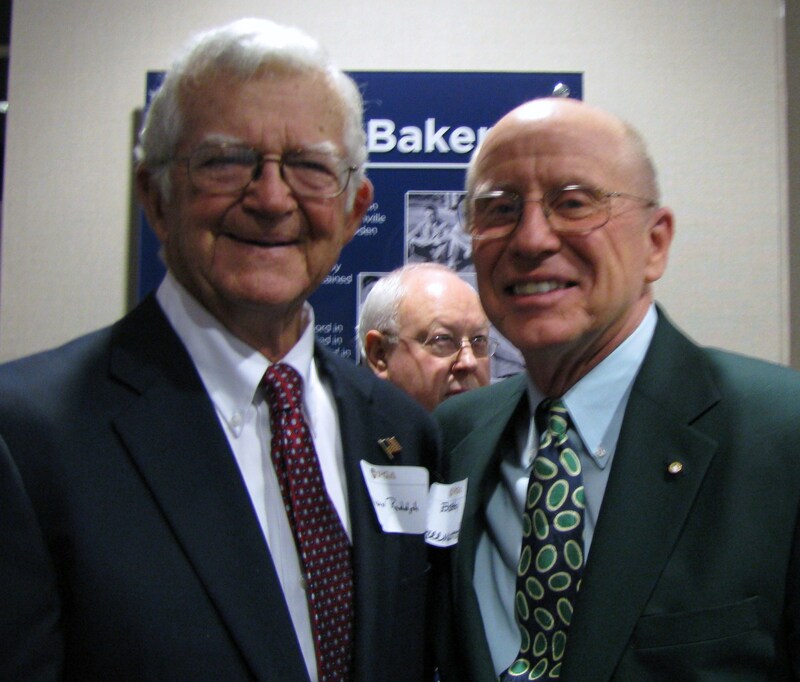 In 2002, he was inducted into the North Texas Hall of Fame. This past year, Greenwood was one of the charter members inducted into Riverside Military Academy’s Sports Hall of Fame. At Riverside, in addition to golf, he excelled in baseball and basketball. 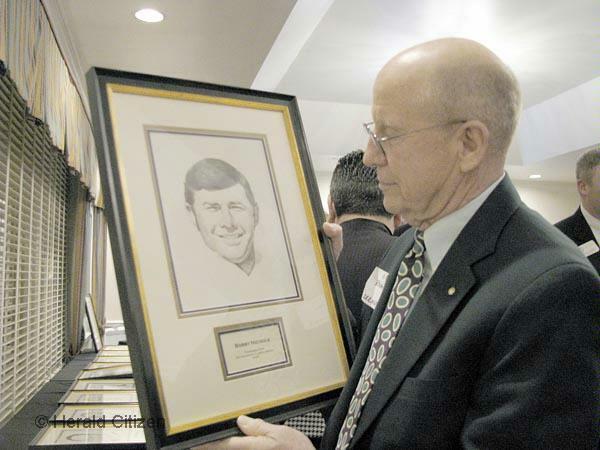 But for his golfing achievements, Greenwood was enshrined in the Tennessee Golf Hall of Fame last fall, becoming the 30th member of the distinguished group. While Greenwood has found a new appreciation for his career, he also appreciates the people around him such as his wife and his 9-year-old daughter Viola. He also appreciates a man who was his longtime friend and golfing partner Bobby Nichols. After giving Greenwood’s introduction speech at the Tennessee Golf Hall of Fame ceremonies, Nichols died a few months later from complications in his fight against cancer. His loss has been felt more by Greenwood than any loss on the golf course. Greenwood doesn’t get out and play much golf anymore. He spends time with his family and is still in the golfing business, giving lessons and working as a golf architect when called upon. If he wants to remember something from his great golfing past, all he has to do is log on to the Internet and look at his website and take a walk down memory lane. — Long-time PGA professional Bobby Greenwood was inducted into the Riverside Military Academy Hall of Fame recently in Gainesville, GA, as part of the school’s centennial celebration. “So, when I was contacted by Colonel Guy Gardner, former space astronaut and superintendent of Riverside Military Academy that this year, 2007, was the Centennial Celebration for the school and I was to be one of the 10 to be inducted as charter members of the Sports Hall of Fame, I was surprised, but rather puzzled. You see RMA has always been a powerhouse school in athletics,” said Greenwood, who was also inducted into the Tennessee Golf Hall of Fame on Sept. 5. “The year that I attended RMA, 1957, I can recall 10 cadets that were better athletes than I was at school that year. But, I’ll take it,” Greenwaod added. “Then, Sept 5 of this year, I was inducted into the Tennessee Golf Hall of Fame — another overwhelming experience. This award coming from my peers in Tennessee golf was indeed quite a surprise and also overwhelming. Greenwood played three sports at RMA. He was a third baseman/left fielder on the baseball team in 1957, when he batted .380 with a school record 10 home runs, and played point guard for the basketball team, averaging 20.1 points per game. Greenwood played either number one or number two on the golf team. Bobby Greenwood at the RMA Sports Hall of Fame Museum. He was inducted into the Hall of Fame recently.